If one theme dominated light fixtures at High Point Market for Spring 2016, it was gold. “Lots of gold, larger in scale, and somewhat organic,” said Kathy Basil, part of our three visitor team from Hirshfield’s Design Resource. Interior decorating is fun. But it can also be expensive. If you start to redo a room, it feels like the budget is never big enough for all the things you dream up. So, where should you splurge, and just as importantly, where can you save? Kathy Basil is the manager of our Hirshfield’s Design Studio, and she has some great advice: “I do my investment piece first, and then I work from there.” Every room is different, but for a living room, Kathy suggests starting with the rug and the main piece of furniture — and saving on accessories. Holiday gatherings and parties with family and friends are a sure way to warm up even the coldest winter nights in the Midwest. And, for a host, it can also mean an opportunity to highlight your creative side. Decorating for the holidays can be a fun way to express your personality as well as embrace the season. With the holidays fast approaching, here are 7 easy decorating tips for the holidays. A simple can of white spray paint can turn an old holiday wreath into a winter wonderland. Don’t be shy and spray the entire wreath in a well-ventilated area, of course. You’re painting a room in your house and you’re not sure what color or colors you should use. You’ve read magazines, spent hours on Pinterest, friends and relatives have opinions and your head is swirling. You’re stuck. So you head to the paint store to ask the experts, “what color should I paint my room?” The question is impossible, because paint color is so personal, even emotional. You ultimately take home some paint chips to imagine what they might look like in your space. This too is a dicey proposition. Maybe the actual color looks terrific splashed up on your walls, maybe it’s a nightmare. 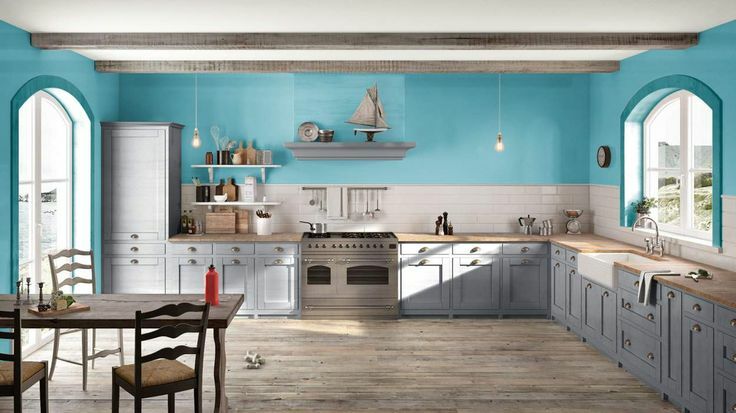 Well, painter, the folks at Benjamin Moore have made it easier with a new online personality quiz designed to help you pick colors that agree with your preferences and lifestyle. August’s Color of the Month is a great looking yellow with a fabulous name: 0863 I’m a Local. This yellow has life and warmth; it’s bold but not glaring. A range of yellows: mustard, goldenrod, and dijon, brighten and relax a room without feeling chaotic. Not too bright, not too pale, it’s the perfect yellow. This pleasant color goes well with the cool and warm shades of gray that are not going anywhere quite yet. I’ve seen it shown as a wall color, but it seems to be trending more as an accent color. Trim on a drapery, a splash of color in a piece of artwork, and on statement pieces like sofas or side chairs. Pair window drapes and shutters for a unique window treatment. In all seriousness, though, we tend to have goals or visions in mind when we’re decorating our homes. Perhaps we want spaces in our home to be beautiful, impressive, warm, comforting, sophisticated, or playful. The space you’re putting together includes the windows and window treatments, which can influence a room’s atmosphere. Designer spotlight on Becky Eggers. Becky Eggers is a Hirshfield’s window treatment expert. I’m in awe of people who have a natural eye for design. You know the type—they can walk into a house and know exactly what colors would look perfect here, what accessories would add just the right pop there, how to reuse an item from one room to pull a look together elsewhere in the home. It’s amazing! Hirshfield’s Becky Eggers has both a natural eye for design plus years of expertise, starting with a degree in textile and design. She’s been with Hirshfield’s for more than 30 years, working in sales and design resource, in addition to planning and managing two of Hirshfield’s décor departments. You can find Becky at Hirshfield’s Design Resource Showroom where she runs the designer program for Window Fashions. Becky works with designers and their clients in the selection of window treatments; having Hunter Douglas products is a great addition to the product offerings at the design showroom.